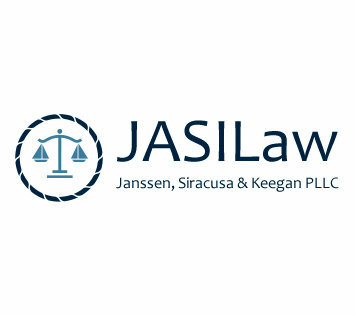 08/24/2018 Janssen, Siracusa & Keegan PLLC (JASILaw) is pleased to announce the law firm provides experienced maritime injury lawyers to handle accident and wrongful death cases. The firm specializes in maritime law but also offers insurance coverage disputes, community association, complex commercial representation and more. Maritime lawyers in West Palm Beach, FL, are highly-skilled and competent when handling challenging maritime cases. JASILaw attorneys work with individuals who have been injured in various accidents and help them collect the money owed to them to cover mounting medical costs, day-to-day costs, bills and more. A maritime accident lawyer will work closely with the client to understand the situation, including what led up to the accident, the accident itself and the aftermath. The lawyer will offer the most appropriate options to help clients receive the most favorable outcomes. When boating accidents occur, it's important to secure a competent boat accident attorney in West Palm Beach, FL, who understands the legal process and how to navigate the system. If the client's maritime claim has previously been denied or underpaid, JASILaw will fight to help clients get the money they deserve. The firm has won millions of dollars for seamen, harbor workers, longshoremen and others. If death occurs from maritime accidents, a compassionate wrongful death lawyer will work with the deceased's family and loved ones to ensure those liable are held responsible. For more information about the firm and its services, visit the JASILaw website or call 1-561-420-0583. About JASILaw: JASILaw is an experienced and highly-respected law firm that specializes in maritime law, including accidents and wrongful death cases. With convenient locations in West Palm Beach and Miami, the firm has handled numerous maritime cases, resulting in millions of dollars won for its clients. The team of lawyers works diligently to fight for their clients to help them win their cases and get the money they are owed.